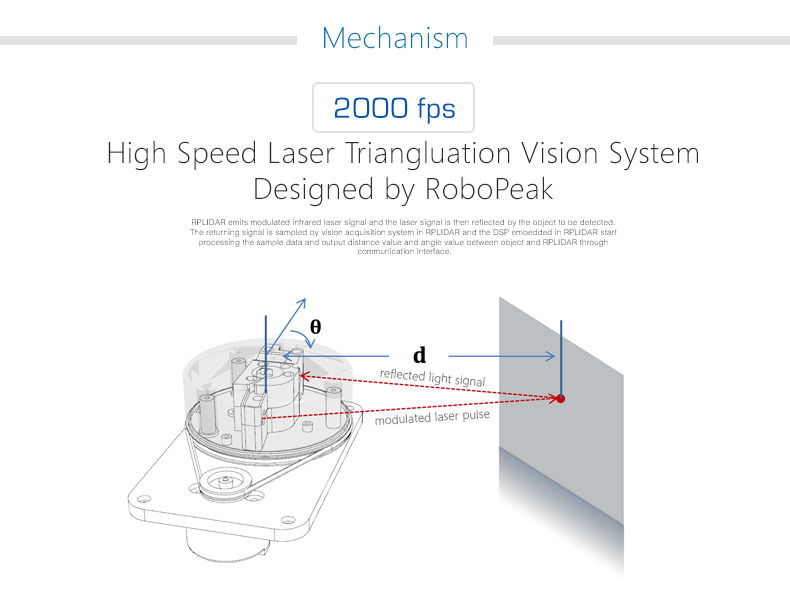 The RPLidar A1M8 - 360 Degree Laser Scanner Development Kit is a low cost 2D UDAR solution developed by RoboPeak Team. 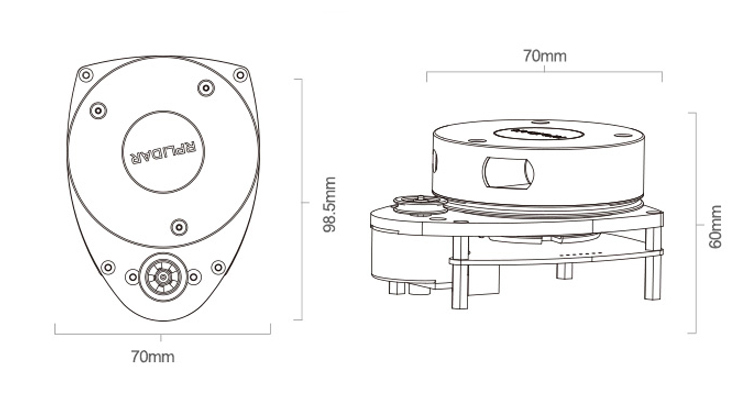 It can scan 360° environment within 12 meter radius. 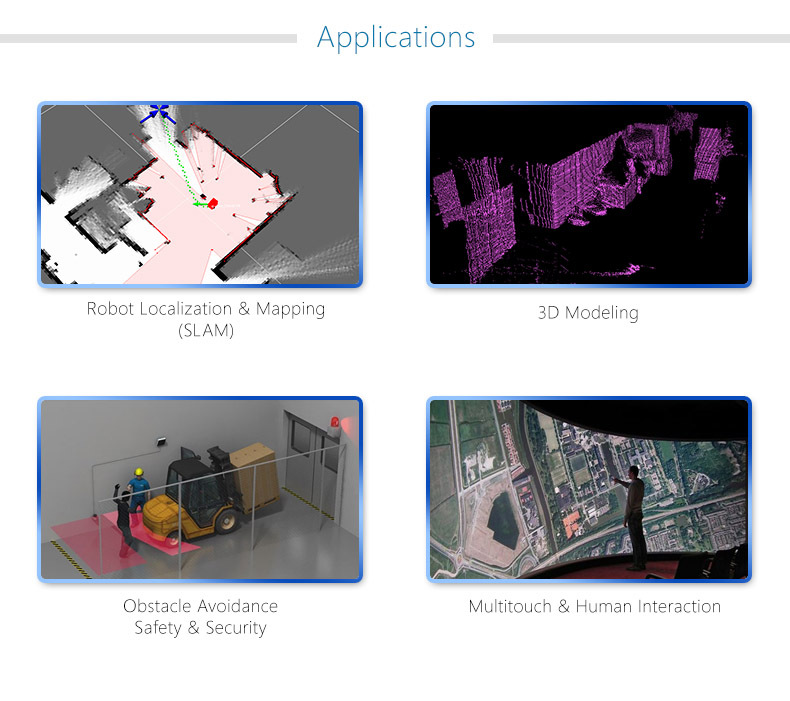 The output of RPUDAR is very suitable to build map, do SLAM, or build 3D model. 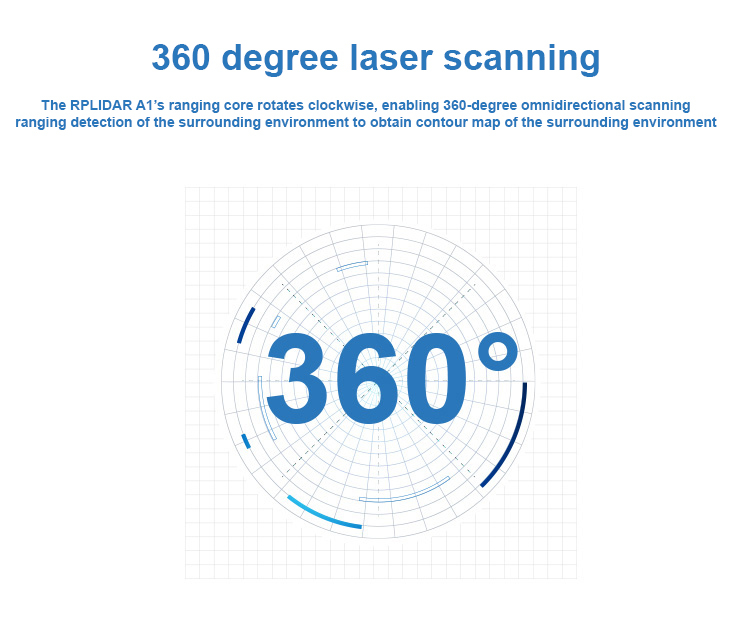 RPLIDAR A1’s scanning frequency reached 5.5 hz when sampling 360 points each round. And it can be configured up to 10 hz maximum. 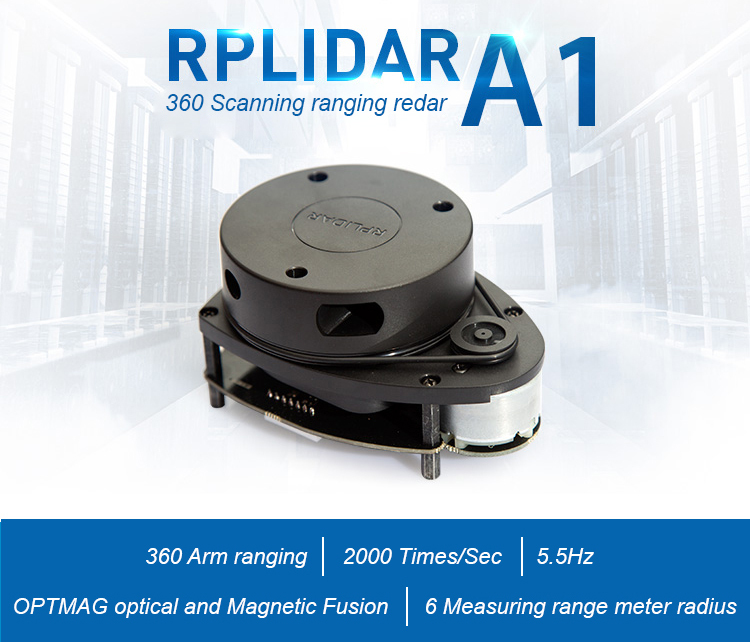 RPLIDAR A1 is basically a laser triangulation measurement system. 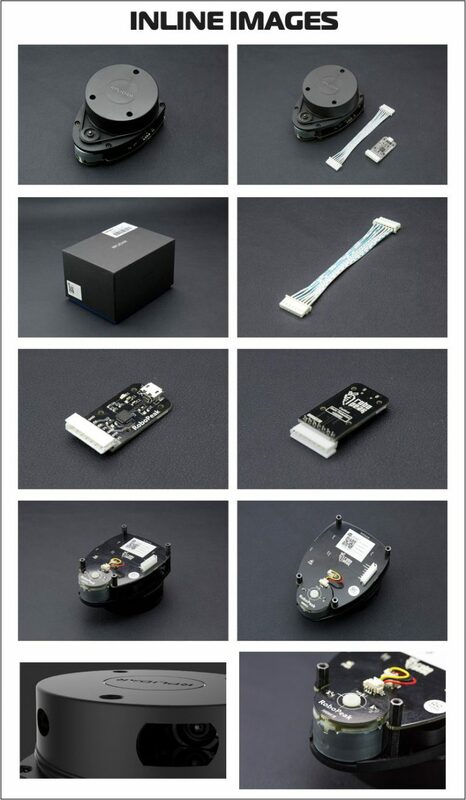 It can work excellent in all kinds of indoor environment and outdoor environment without sunlight.